40 days after Jesus was born, his mother Mary and his stepfather Joseph, would have taken the baby to the Jewish temple to ‘present him to the Lord’: this was Jewish custom and tradition. In the bible you can read about this in Luke chapter 2 verses 22–40. Because the Jewish prophet in the temple (called Simeon) recognized that Jesus was the Son of God, he called him “a light to lighten the nations'“ and so we call this Feast ‘Candlemas’. It takes place every year on 2 February or on the Sunday nearest to it; 40 days after Christmas Day. Candlemas Day is the mid way point of winter, half way towards spring. We hold the Christ light as a symbol of hope in the coming season of Lent, Holy Week and look forward to the joy of Easter. We bless candles in Church and take one home with us to keep the ‘flame of God’ alive in our prayer lives everyday. 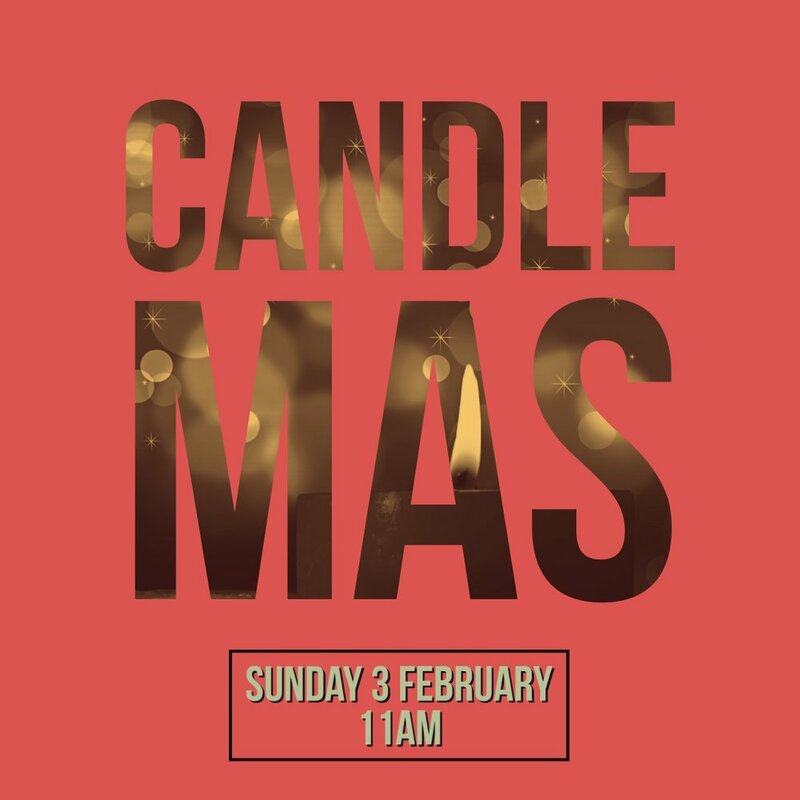 At St Anne’s we will celebrate Candlemas on Sunday 3 February at 11am. The service will include a special ceremony of light with candles. It will also be Fr Christopher’s last service amongst us as our Vicar before he moves to a new parish later in February.